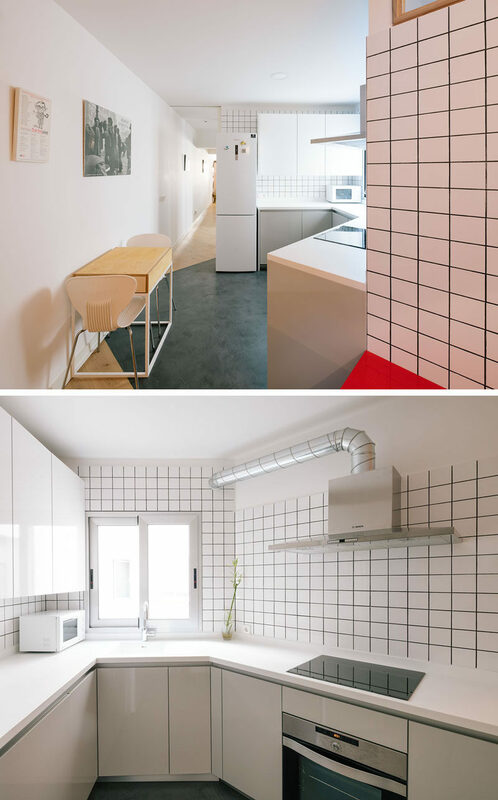 PYO arquitectos were asked by their clients to transform their apartment in Madrid, Spain, with the main objective being to brighten up the space. 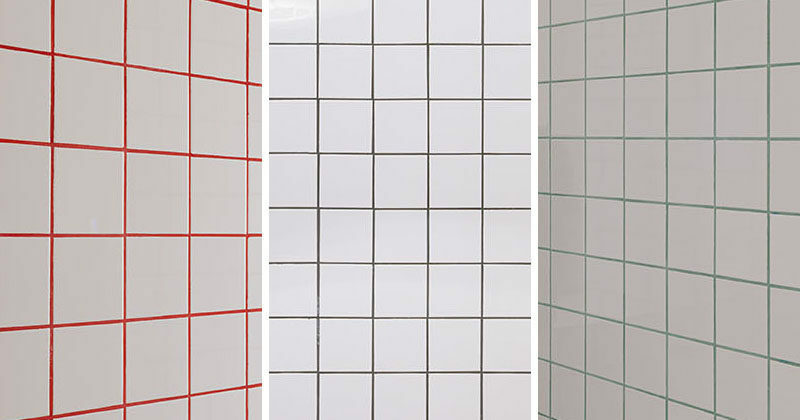 One way they did this was by installing square white ceramic tiles, but to add contrast to the white tiles, they changed the color of the grout, which would typically be white also. In the entryway, they used a dark gray grout. The gray grout wraps around the wall and continues into the kitchen, where it becomes the kitchen backsplash. 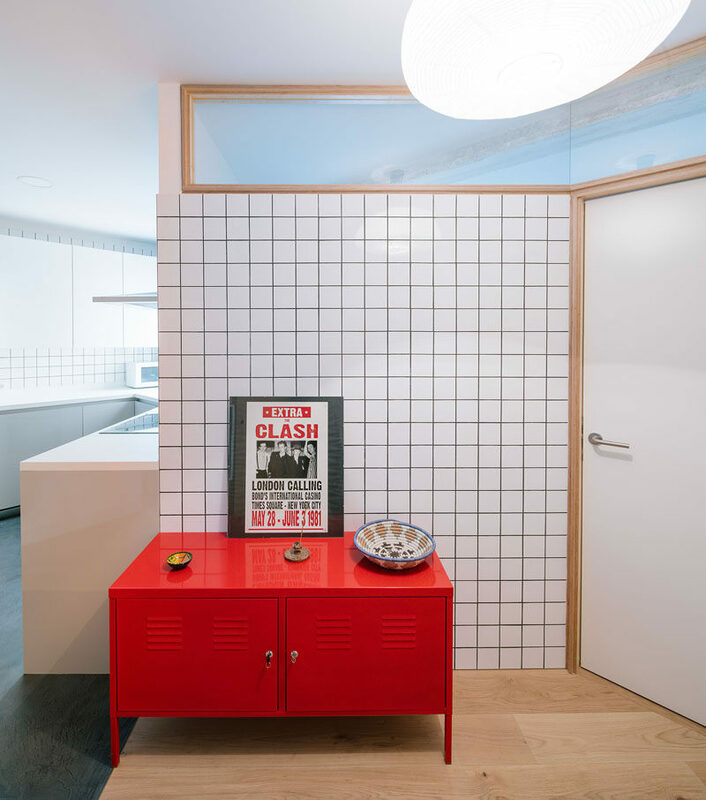 In the first bathroom, bright red grout was used, and it definitely pops against the white tile. 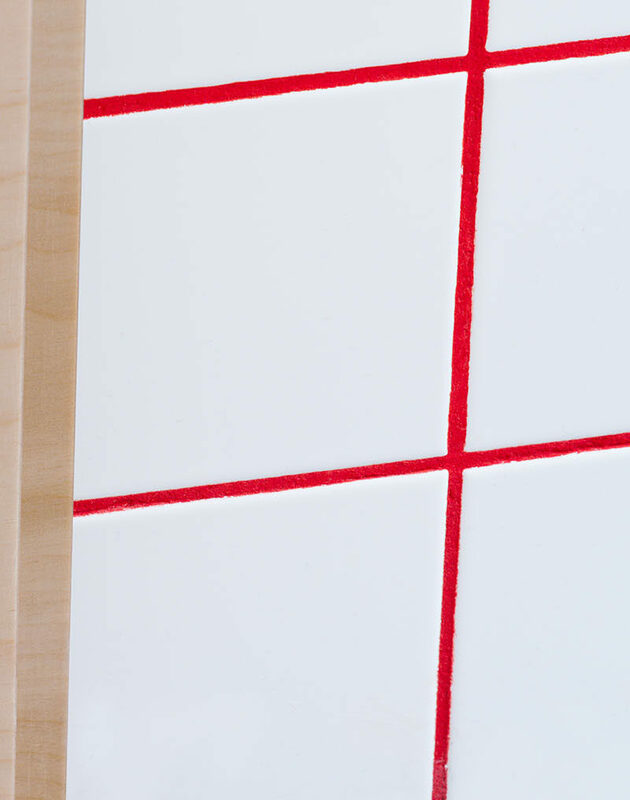 Here’s a close-up look at the bright red tile grout. And in the second bathroom, they used a bluish-green for a more calming look.